Skiing is a sport or recreation where you move or glide over snow using a pair of flat runners attached to your feet called skis. If you will go skiing for the first time, it comes highly recommended that you join a group ski holiday you can get from top tour operators such Ski Line Limited to fully enjoy the adventure. Before you go, here are some important things to remember. Your family and friends can give you advice, but it would be wise to get it straight from the experts. Real instructors will take your fear out of learning. They can teach you a variety of styles for the gradual development of your skiing skills. Your progression will depend on how fast you can adapt and learn, so try to get the most out of your instructor. 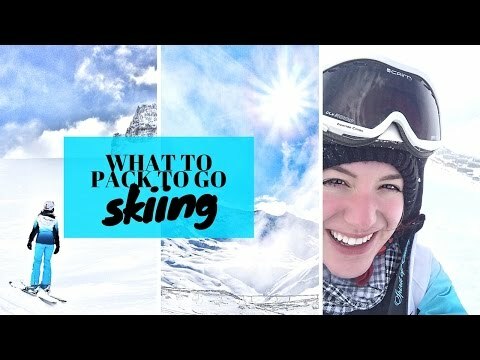 Once you have learned the basic, you will definitely enjoy the slopes. Just like any other physical activities that you will do for the first time, you have to be physically and mentally fit. You need to do some exercises to make your legs stronger weeks before you go. You can also do some cardio exercises, which will help to increase your stamina. Working out is not mandatory, but doing so in preparation for the ‘big event’ will definitely go a long way. When preparing for the skiing gears that you need for the first time, asking help from your family and friends is a good idea. Getting new ones will be expensive, so try to borrow as many as you can because you will need a lot of stuff, like ski jacket and pants, wool socks, gloves, and helmet, to name a few. Most ski resorts close around 4 to 5 in the afternoon. So, that is the best time to go back downtown and enjoy the fun spots around. You can dance to live music, drink and relax in bars, and indulge in many local activities. Above all, have fun! Having this simple knowledge before you go on a ski holiday could make a big difference!